Apple unveiled iPhone 8 and iPhone 8 Plus on September 12th, 2017. Not only that, it also announced the iPhone X–but pronounced it “Ten,” instead of ex. Apple has a long history with X as a Roman numeral so the naming scheme isn’t out of the ordinary. This is also the tenth anniversary of the iPhone so calling it “ten” is definitely a nod to that milestone. The reason a lot of people thought it’d be the iPhone ex, and not ten, however, was because now Apple will be selling an iPhone 8 and an iPhone 10. The iPhone X is the future of the iPhone line and Apple is foreshadowing that it’s two years out from being its mainstream device. Next year there will be an iPhone 9 and an iPhone XI–though it could also move to a modifier like X2. So in 2018, the iPhone 9 will be the mainstream device at the typical price and the iPhone XI will still be the aspirational device with new bells and whistles. 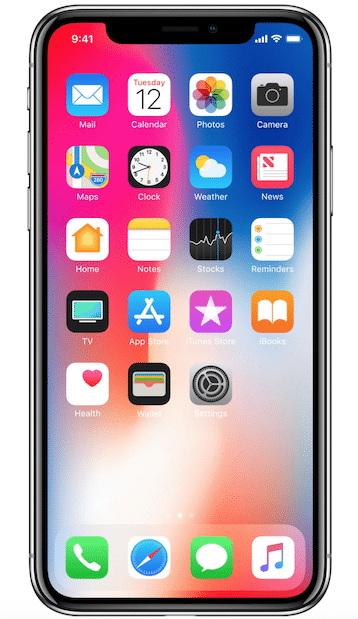 The following year, 2019, what we see as the iPhone X today (with adjustments for appropriate specs) will become mainstream iPhone, meaning the Home button disappears for everyone in two years. I also think the naming will change so the phone is just called iPhone. When an average person goes to the store in two years for the new phone from Apple, they’ll be able to buy an all-display device called iPhone for the same price the iPhone 8 is today. There will be one standard model with different storage tiers. I think the iPhone Plus as we know it today goes away in 2019. Instead, there will be an iPhone and an iPhone Pro (for lack of a better name at this point) which will be a bigger screen with only a little bit bigger footprint in the hand. The iPhone Pro will then become the high end aspirational device. Even when the actual iPhone X name leaked, the name wasn’t clear so don’t take my place holder names seriously, but I do think this two year plan is a hint at why Apple is using two different numbers now and skips 9. When Apple decided to pronounce it “ten,” I think it was signaling everyone’s new iPhone come 2019 will look like the iPhone X does today.